We used to have two sets of sheets, and I’d rotate them to make changing the sheets easier. But we used to let Argo up on the bed all the time, and he tore a few holes (which I repaired) and generally wore out one set with his giant rough dog feet. I guess those sheets are still usable, but they are kind of dingy and depressing and probably better suited for the rag bin. Rawganique has a beautiful set of hemp sheets, but they are a little out of my price range. If I’m going to pay 400 bucks for sheets, they better wash themselves and make the bed for me. But they are beautiful. And they are hemp. Indika Organics has a great selection of organic bedding from a variety of green materials. The patterns on the sheets are stamped with vegetable dyes. Still a little pricey, but some of the selections seem more affordable. Target has a wide range of bamboo sheets. Bamboo fabric is so soft! And has the added benefit of being naturally antibacterial. These are very affordable. 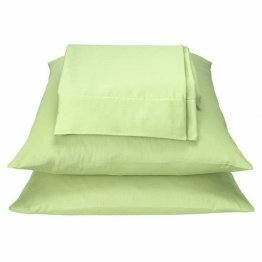 Overstock has an amazing sale on an organic cotton sheet set. I haven’t tried the Target bamboo sheets, but I have a set of their organic cotton ones and they’re heavenly. Our new sheets in the past 5 years have been organic cotton and then bamboo) for 3 different beds. Love the bamboo – very soft. Organic cotton is super wrinkly as it turns out. I vote bamboo @ Target. Free shipping to boot. All I can say, is – for the love of all that is holy – get yourself a second set of sheets! I played the *One Set* game for far too long and know how it is when it’s 10 p.m. and you walk in your bedroom to find you totally spaced on putting the sheets in the dryer…. Regular Lady — I TOTALLY do that, and if I’m really tired, it’s been known to make me cry. Think the bamboo may be a winner, too. Mama Bird — Thanks for the advice. I don’t iron sheets. Modern Gal — Glad to hear they are good! Do they wrinkle too much? It’s tough for me to spend a lot of money on sheets… so I vote bamboo sheets at Target! And if you get them, write up a review! I’d totally try the bamboo. I’ve got a hankering for new sheets, as it turns out. I’m all for organic cotton. The problem is that in order to make them quasi affordable they make most with a really low thread count…which makes them not as soft & thin with a tendency to be wrinkly. You can buy high count organic but they are a few 100 per set. If you are going to go for the bamboo go to the store and feel them first. Bamboo feels a lot like cheap silk. I’m not a fan…but other people love them. I don’t know about the bamboo Target sheets but I have the organic cotton Target ones and I recommend going to the store and checking them out in person first. I am perfectly happy with the set I got, but the color was not exactly what I was expecting and my boyfriend found it to be too shiny (sort of glittery, almost). sorry to be late as usual, but i thought i should bring this up: bamboo sheets may not be as awesome as they seem. when a company labels its fabric “100% bamboo”, you’re not getting the whole picture. bamboo may have been the original raw material, but fabric manufacturers are actually required to refer to manufactured fibers by their generic ISO names on the label. “bamboo” isn’t one of the choices. chances are if you’re buying bamboo textile products (the silky-soft ones), their labels should actually read, “rayon made from bamboo”. 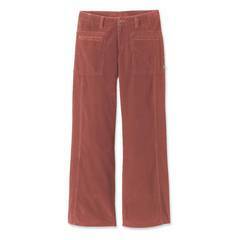 the viscose process for making rayon (of any kind) is very eco-unfriendly. a less common but more eco-friendly process is the lyocell process, in which case the label should read, “lyocell made from bamboo”. very rarely will you find fabric labeled “natural bamboo fiber,” which is made using a mechanical process like the one used to make linen from flax, and would feel more like linen fabric. my mom (phd in textiles, eco-fashion lady) wrote a couple of posts recently explaining the issue in more detail. sorry for the hijack but i knew this would be something you’d like to know! it;s come a long way in the past few years. GO FOR THE 100% BAMBOO!!!!!!!!! and you do sleep GREAT!!!!!!!!!!! I can recommend one site after trying MANY!!!!!!!!! I wish more companies made bamboo sheets.